Our local saxophonists are some of the most highly regarded musicians on the D.C.-Baltimore scene, and are available to make your next event fun and sophisticated. At Espinoza Music Professionals, our saxophonists are available as soloists or in small jazz groups for wedding ceremonies, cocktail hours, and receptions. Scroll down to read more about them! 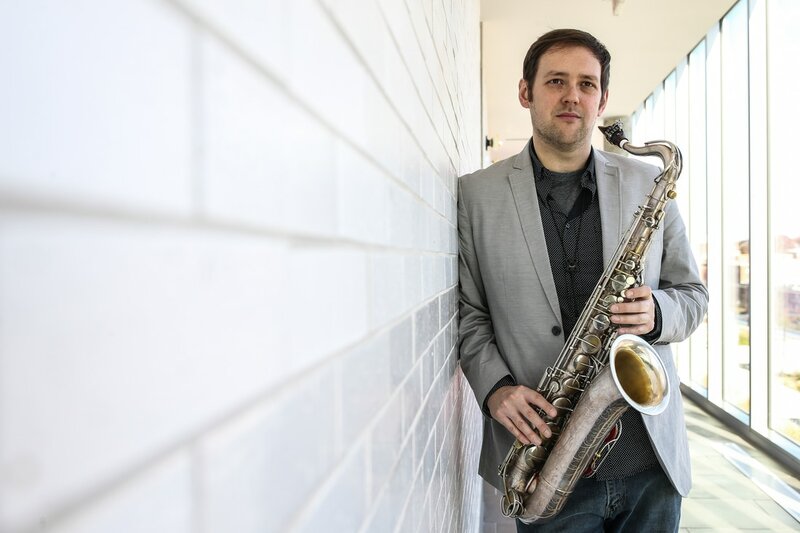 ​Saxophonist Brendan S. has a personal and lyrical voice on his instrument that captures the spirit of jazz. His musical career has taken him to a variety of venues and locales, from weddings in the Greater DC Area, to clubs in New York City, and even on ships in the Caribbean and Canada. He performs often as a member of the band Black Masala, as well as with his own trio. Brendan is sure to help make your next event truly memorable. Saxophonist Andrew F. picked up the instrument at age 10, while growing up in the bustling metropolis of Cedar Rapids, IA. After years of studying, performing, and teaching in the rich musical environment of Boston, Andrew has recently begun making waves in the DC music scene. His wide variety of experience ensures he can tailor a musical experience to the particular taste of any client, and specific needs of any venue or event. Multi-instrumentalist Julian B.’s relationship with music began when his father introduced him to the tenor saxophone at the age of ten. Since then, his musical pursuits have culminated in studies at the prestigious Peabody Conservatory and grants from the Maryland State Arts Council. Julian performs regularly in venues across the DC-metro area, and with creative groups such as the Out of Your Head Collective.